CARFAX ONE OWNER NO ACCIDENTS, FULLY INSPECTED AND DETAILED, 6-Speed Automatic, Alloy wheels, Exterior Parking Camera Rear, Front Bucket Seats, Rear window defroster. Clean CARFAX. 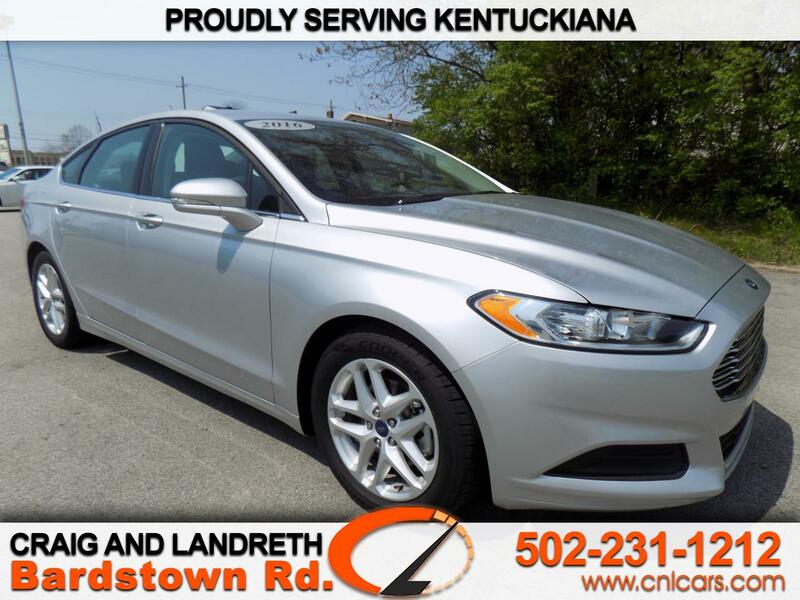 Silver FWD 2016 Ford Fusion SE 2.5L iVCT 22/34 City/Highway MPG Awards: * 2016 KBB.com 10 Best Sedans Under $25,000 * 2016 KBB.com Brand Image Awards Proudly serving Kentuckiana for over 40 years with an A+ BBB Rating! Having 7 convenient locations and over 800 vehicles, we're sure to have the right car at the right price! Inquire to schedule your VIP test drive today. All prices plus tax, title, lic, and dealer processing fee.